Like most people who think about food constantly, I take snacking very seriously. Growing up, I’d gravitate toward salty and crunchy—the crisp bite of a Lay’s (or Pringles) potato chip or whatever those disturbingly orange, peanut butter–filled biscuits were. Lately, however, I’ve noticed my salt tooth taking a decidedly sweeter turn, and it’s baffled me to no end. Suddenly I’m craving chocolate, doughnuts, candy, those green Haribo frog gummies that are inexplicably peach-flavored… The list goes on. Surely this must mean something about the inner workings of my body. This can’t be a good thing, right? According to research, sugar is said to be as addictive as some street drugs, with similar effects on the brain(!). Excess sugar consumption can also lead to cavities, type 2 diabetes, heart disease, and a slew of other health problems. Knowing all of this, I was determined to stop—but each day, I’d get tempted by a new sweet delicacy and thus fall off the wagon (and into a pile of macarons). Why can’t I quit something that’s so clearly bad for my health, my brain, and my body? All around me, my fellow sugar worshippers bemoan the same question, all while stuffing more chewy morsels of Momofuku birthday cake into their mouths. I was determined to get to the root of the issue, and thus consulted two top nutritionists—Farah Fahad, MS, MA, RD, and Elissa Goodman, certified holistic nutritionist—to help me find out what my sugar cravings mean, and thus, hopefully, quell them. Keep scrolling to find out what your sugar cravings are saying about your health. First things first—before looking for answers, you need to identify the type of sugary food you are craving. “If you’re craving chocolate, it could mean your body is deficient in magnesium, which is a really common deficiency these days,” explains Goodman. There’s a plus side to craving chocolate: Dark chocolate is actually full of antioxidants that can improve your health and decrease the risk of heart disease, according to research. Reach for the dark stuff (70% cacao content or higher), not the milk kind, to satisfy your sweet tooth without sabotaging your health. “If you’re craving sweets all of a sudden, most likely you are experiencing blood sugar fluctuations,” Goodman explains. “When your blood sugar drops, your body may be try­ing to get you to give it more fuel to keep your blood sugar levels stable.” (If this happens chronically, she says this may indicate that you have hypoglycemia.) To keep your blood sugar balanced, she recommends eating a healthy amount of protein and adding more high-fiber foods, like beans and legumes, to your diet, along with complex carbs. “This will give you the fuel you need without the blood sugar spikes,” she promises. She also recommends making sure you are getting enough magnesium, which she calls a “key for energy to enter our cells.” The National Institute of Health states: “Magnesium is needed for more than 300 biochemical reactions in the body. It helps maintain normal muscle and nerve function, keeps heart rhythm steady, supports a healthy immune system, and keeps bones strong.” Magnesium deficiency has been linked to everything from asthma to type 2 diabetes, while further research has found a positive correlation between magnesium and its effect on heart and brain health. (Plus, it might even help with insomnia and anxiety problems.) “When our body doesn’t have enough magnesium, it will have trouble bringing energy into the cells and thus feel deprived and crave sugar,” Fahad explains. If you find yourself battling a serious sugar addiction, take things one day at a time. “Before you satisfy cravings, drink a tall glass of spring water,” Goodman suggests. “We often misinterpret our body’s signal for thirst as a signal of hunger. By drinking water first, you may be giving your body exactly what it wants and alleviate the craving. 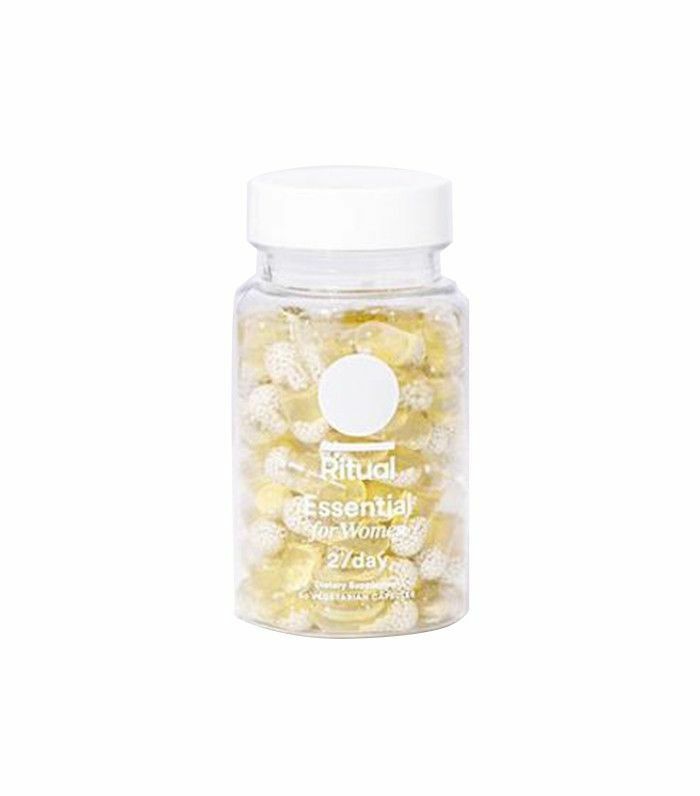 It’s estimated that up to 80% of the population is chronically dehydrated.” If you’re still craving sugar, start incorporating more protein into your diet alongside fermented foods and supplements that ensure you’re getting your daily dose of vitamins, like Ritual, which boasts a number of vitamins and minerals specifically (and especially) important to women. Click here to see more nutritionist-approved ways to beat your sugar cravings. Do you battle a sugar addiction? Read this to know exactly what to expect when you give up sugar so you’re prepared.